In this Post: Grieving the death of a massage client is a hard thing. Professional codes of conduct don’t allow us to grieve as we may for a personal relationship, but that doesn’t mean that we cannot grieve! 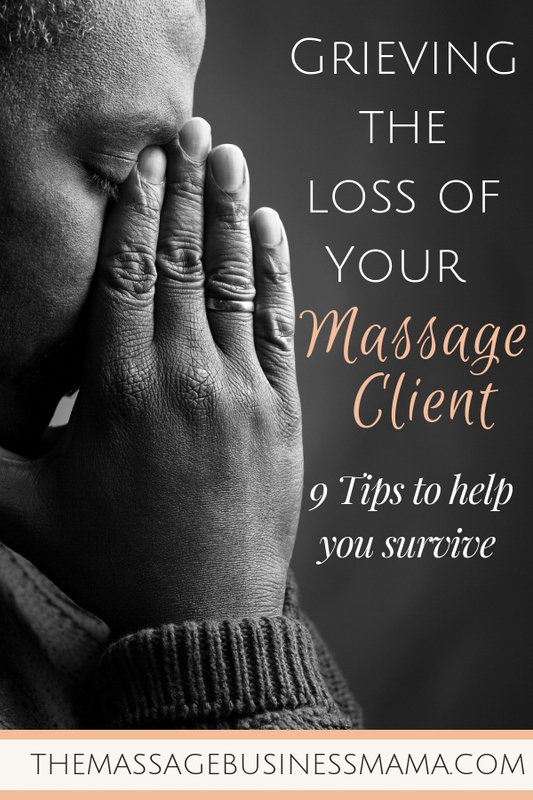 Learn 9 ways to get through the loss of your massage client. One of the great joys of being a massage therapist is the relationships we form with our clients. Especially when we are in private practice. Here, clients span the course of time and often deep connections are forged. The downside of this type of relationship is that sometimes bad or hard things happen to these clients whom we care for deeply! Massage is an intimate exchange. We often get to know our clients in very personal ways! 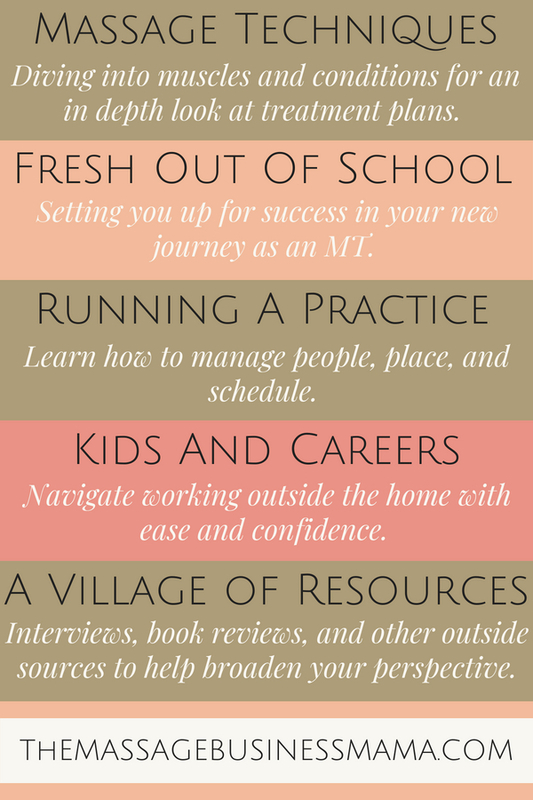 With “Therapist” in our title, it is no wonder that our clients share much about their personal journeys. We walk side by side as they experience the good and bad. They share their joys and sorrows in a way few professions experience with their patrons. It is a pleasure to watch as clients become parents or grandparents. It is much harder to watch our clients lose a job, parent, or a fight to cancer! As massage therapists it is essential to main firm boundaries. However, as we often spend an hour each week of uninterrupted time with our clients, a natural bond is formed as they are known to reveal intimate and confidential matters. The formation of this bond does not mean that we have failed to have adequate boundaries or that we are too enmeshed with our clients. Instead, it means that we have hearts and souls and are interacting with our clients on a genuine level, with care and authenticity. We can have clearly defined boundaries while still having human emotions surrounding major life events that affect our clients. When we create authentic relationships with our clients, we experience genuine grief. Our grief over the death of a client is real and worthy of being affirmed and supported. I went to the funeral of one of my long-time massage clients this past week. It was the second such event I have attended in the last year, and both were heartbreaking! Just because something is hard doesn’t mean it isn’t worth it! I sat and listened as stories were shared about these amazing people. Beautiful tales and loving anecdotes painted images in my mind. I felt privileged our paths had crossed. I cried as I recognized the impact they had on me. Their souls, smiles, and laughter filled me as I mourned for their loved ones and the losses they were only beginning to experience. Both of the clients I lost this past year have made my life better by knowing them! They were both amazing and beautiful! They both taught me valuable lessons, and I am thankful I was able to know them during their time here on earth. But of course, it was hard losing them! Just because it is a client as opposed to a friend or family member doesn’t mean you won’t experience the various stages of grief! Shock, denial, anger, bargaining, depression, testing, and acceptance are all legitimate and real stages that you will feel regardless of the type of relationship you had with the deceased. Coping with a client’s death can be difficult because confidentiality and professional boundaries inhibit the grieving rituals that we so often use in personal relationships. What is discussed in massage sessions is confidential and needs to be honored. Even if our clients are gone, our code of ethics remains. This makes it tricky to grieve, as so often the grieving process involves sharing with others who have loved and respected the deceased. But that doesn’t mean you shouldn’t grieve. It is an important process to allow your soul to heal! Know that you are justified in your feelings. Just because they were your client doesn’t mean that you cannot be emotional about their passing. You had a connection with them, and it is okay to honor it! Practice good self-care routines and techniques. Self-care is a very important piece to having a balanced career as a massage therapist on a day to day basis, and even more so when you are grieving the loss of a client. Consulting with colleagues who’ve had similar experiences. Sometimes it is nice to hear how others in a similar position handled their loss. Having someone who relates to your experience is a very affirming thing! Maybe you just let your thoughts flow, or you could write a letter to your deceased client, telling them the impact they had on your life, what they taught you, and how much you appreciated them. Pouring yourself out on the pages can be quite cathartic! Meditation or prayer is a powerful way to get in touch with your feelings. Prioritizing this simple task can lead to substantial mental health benefits when you are experiencing times of loss. Read the obituary and news articles about their death. Sometimes our feelings are validated by seeing how others have honored their memory. This also helps us move through the stages of grief because it is a concrete piece of evidence that their death did occur. There is no shame in shedding tears! Allow yourself this outlet. Paint a picture, or write a song to recognize and celebrate their memory. Working As Massage Therapists During Times Of Tragedy for tips on how to handle the difficult task of working during times of tragedy. Working can be hard when we are grieving, but sometimes there is no other way. Work goes on, and we must show up. As intuitive and empathetic creatures, like most massage therapists are, it is natural to experience emotions around the death of our clients. If you find yourself overwhelmed by these emotions, please seek help! Find someone to talk to, preferably a professionally trained licensed psychotherapist. As long as I continue to practice massage and choose to open myself up in authentic and real ways, I will be affected by the tragedies that occur in my client’s lives. I am okay with this reality. This means that I care, and as soon as I stop caring I will know it is time to move on from my career as a massage therapist! As I drove away from the funeral of the first client I lost this year, the most amazing sunset peaked through the mountains. It was as if all the beauty and joy that represented his being were pouring out onto the land below. I could feel his soul moving through a playful, vinyasa flow. I pulled my car over and took a photo. The image didn’t capture the magic of the moment as fully as I had hoped, but it was a peaceful, spiritual moment and I’m glad I took the time to honor his memory! Please find ways to honor the memories of the clients you lose along the way. Your spirit WILL thank you for honoring them in this way! What are some of the ways you have found to honor the memory of the clients you have lost? Please share in the comments below!